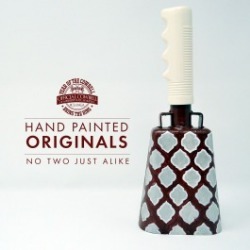 Year of the Cowbell is now offering a selection of unique hand painted originals. These bells are painted by our in-house artist Christa Davis. 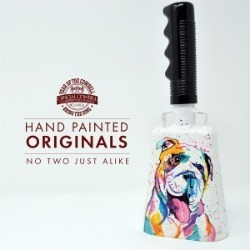 These bells are truly a hand-painted original. They feature unique colors and designs that help you express your own special way to Hail State! We also do custom cowbells for groups and more. Give us a call at 888-896-2958 for information. 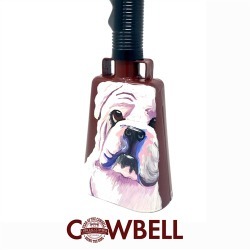 The most unique and certainly the most resounding symbol of Mississippi State University tradition is the cowbell. 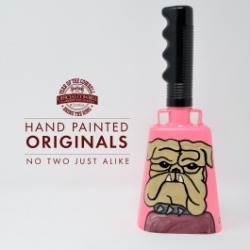 Despite decades of attempts by opponents and authorities to banish it from scenes of competition, diehard State fans still celebrate Bulldog victories loudly and proudly with the distinctive sound of ringing cowbells. The precise origin of the cowbell as a fixture of Mississippi State sports tradition remains unclear to this day. The best records have cowbells gradually introduced to the MSU sports scene in the late 1930s and early 1940s, coinciding with the 'golden age' of Mississippi State football success prior to World War II. The most popular legend is that during a home football game between State and arch-rival Mississippi, a jersey cow wandered onto the playing field. Mississippi State soundly whipped the Rebels that Saturday, and State College students immediately adopted the cow as a good luck charm. Students are said to have continued bringing a cow to football games for a while, until the practice was eventually discontinued in favor of bringing just the cow's bell. 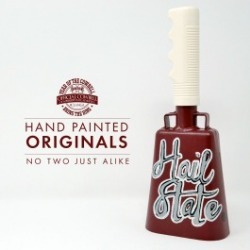 Whatever the origin, it is certain that by the 1950s cowbells were common at Mississippi State games, and by the 1960s were established as the special symbol of Mississippi State. Ironically, the cowbell's popularity grew most rapidly during the long years when State football teams were rarely successful. Flaunting this anachronism from the 'aggie' days was a proud response by students and alumni to outsider scorn of the university's 'cow college' history. In the 1960s two MSU professors, Earl W. Terrell and Ralph L. Reeves obliged some students by welding handles on the bells to they could be rung with much more convenience and authority. By 1963 the demand for these long-handled cowbells could not be filled by home workshops alone, so at the suggestion of Reeves the Student Association bought bells in bulk and the Industrial Education Club agreed to weld on handles. In 1964 the MSU Bookstore began marketing these cowbells with a portion of the profits returning to these student organizations. In 1974, the Southeastern Conference adopted a rule against all artificial noisemakers at football and basketball games. 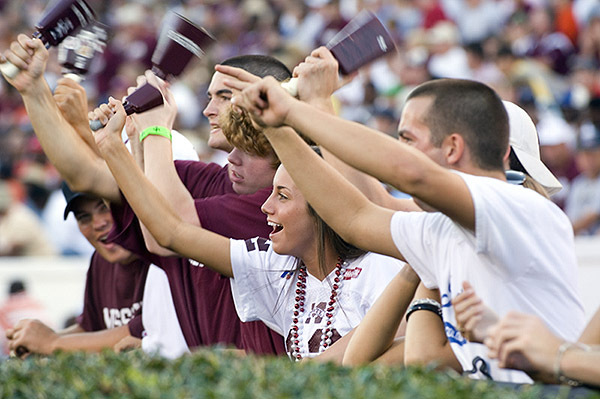 On a 9-1 vote, SEC schools ruled cowbells as a disruption and banned them. 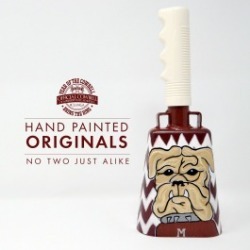 However, in 2010, the SEC revisited the topic of cowbells and have allowed to let Mississippi State ring bells during pregame, timeouts, halftime and after the Bulldogs score. During the one year probationary term, Bulldog fans are asked to follow these guidelines in an attempt to permanently be allowed to carry cowbells at home games.